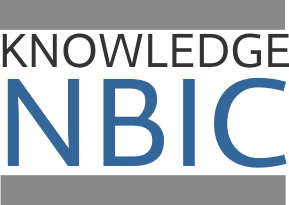 The KNOWLEDGE NBIC project was a study into the knowledge and anticipated social consequences emerging from the NBIC (Nano, bio, info, cogno = converging technologies) fields, using a social scientific perspective. The project was funded as a Specific Support Action within the FP6 Socio-economic Sciences and Humanities programme and was coordinated by the Institute for Technology Assessment and Systems Analysis (ITAS) in Karlsruhe, Germany. It looked into the patterns of NBIC knowledge production as well as the actual and potential use of and social resistance to such knowledge. In terms of knowledge production, it focused on charting the institutional settings in which the NBIC fields are pursued and promoted, including questions like: Who are the key actors involved? How do they figure in the overall ecology of both academic knowledge and socially relevant technologies? What funding mechanisms are used to promote convergence or synergy among different technological fields? Given the different origins of these fields, when and why did they start to ‘converge’ and to what extent? With respect to the use of and resistance to this knowledge, the analysis was concerned in particular with the growing moral, political and economic pressure to regulate, to police or even forbid novel knowledge as well as technical devices emerging from NBIC technologies. Nanotechnology was not the focus of this project, but the questions raised may be relevant to the governance of nanotechnology. The project website is no longer active, but a project description is available at: http://ec.europa.eu/research/social-sciences/projects/180_en.html (external link, last accessed 27 March 2014).